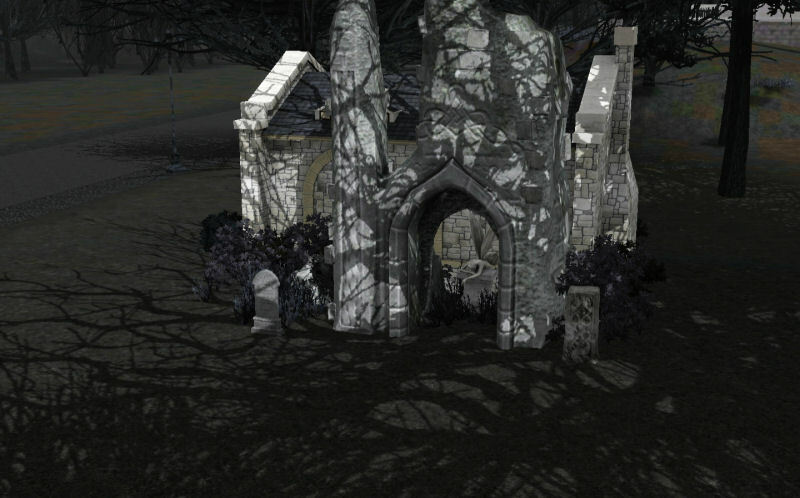 The ruins of the old library in Midnight Hollow have stood there for ages and ages, and rumor has it that a lot of old, now long forgotten, elixir recipes and facts about the Supernatural people in the bedtime stories lie beneath. A few weeks ago some travellers moved into the area trying to make the town a happier place, but will they succeed? 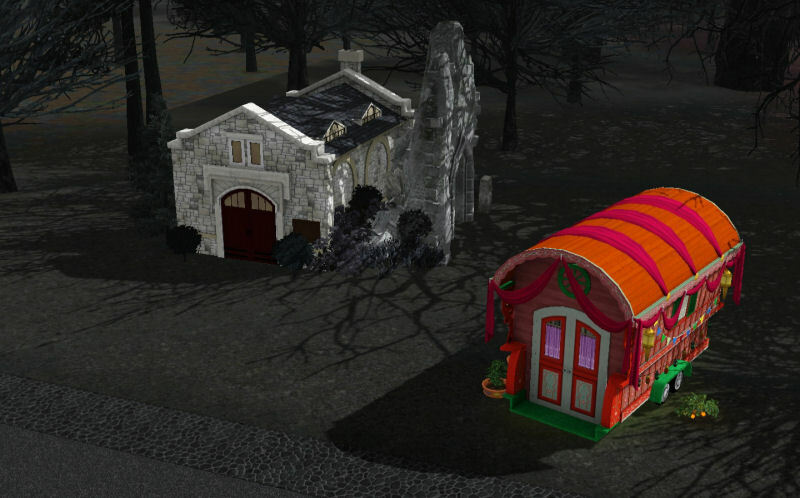 When I moved my alchemist witch to Midnight Hollow from Moonlight Falls I felt the need for some of the Supernatural rabbitholes, so I put together this lot for that purpose. It's nothing special really but if you just want to jump into the new world and play a fortune teller, or don't have the patience to build your own, you can plop this lot down. It's a 20x20 lot. 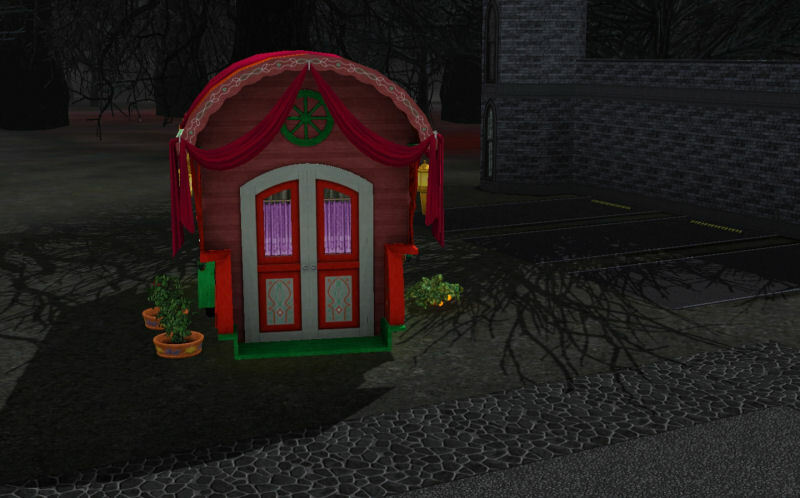 I built it on 9 Swallow Street right next to the cemetery which is my recommended lot to place it on, but it's entirely flat and will fit in most places.